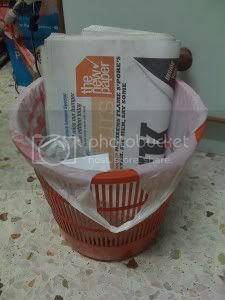 Blogger DK is incensed at the New Paper's irresponsibility over H1N1 report. Shame on you TNP! Shame on you! I don’t buy The New Paper on a regularly basis. But I purposely went around searching for a copy of 28 May 2009 issue of TNP after hearing from someone on twitter saying that TNP published the name of the first Singaporean girl who caught the H1N1 virus. At first I didn’t believe the twitter-er. I thought the media were told not to publish the name of the lady who caught the H1N1 virus. I thought they would be responsible enough. I was wrong. TNP really published the name of the lady who caught H1N1 virus. And to sensationalize the story, The New Paper wrote this on the front page: “ZERO TOLERANCE? NETIZENS FLAME S’PORE’S FIRST H1N1 VICTIM. SUE HER, SAY SOME”. I was quite shocked to see this. I thought Singapore netizens have become more mature and responsible recently. In fact, I didn’t came across any blog/forum/twitter that flame the girl. Curious to find out who is the black sheep among the netizen, I read the article. It appears that all the netizen being mentioned in the article are from Stomp. My first reaction was “What else do you expect from Stomp?”. Stompers are famous for such irresponsible posting. Just browse thru the site and you will surely shake your head in disbelief. There have been calls to shut down stomp because of all the irresponsible posting by the Stompers and lack of regulations.